Even though they are European brands, Necchi and Elna shared a critical role in a unique and inspiring American tale. It's a story of survival, wisdom, tenacity, and success. Thanks in part to these two brands, Leon Jolson achieved the American Dream. 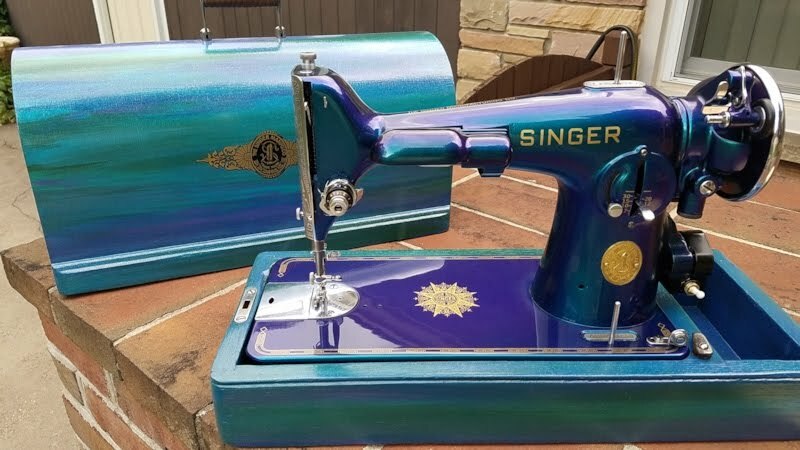 A Sewing Machine "Hall of Famer"
Figures like Howe and Singer were clearly necessary to establish a meaningful sewing industry Hall of Fame. Meanwhile, a lesser-known gentleman was inducted that first year as well. While his fellow inductees had been household names ("Singer" to this day), Leon Jolson is likely unfamiliar to many VSM collectors. Yet, his story is fascinating and inspiring, wrought with peril and success. He is the man who brought Necchi and Elna to America after escaping the Holocaust. Necchi storefront in Pavia, Italy. Jolson was born Leon Joselzon in Warsaw, Poland, in 1912. 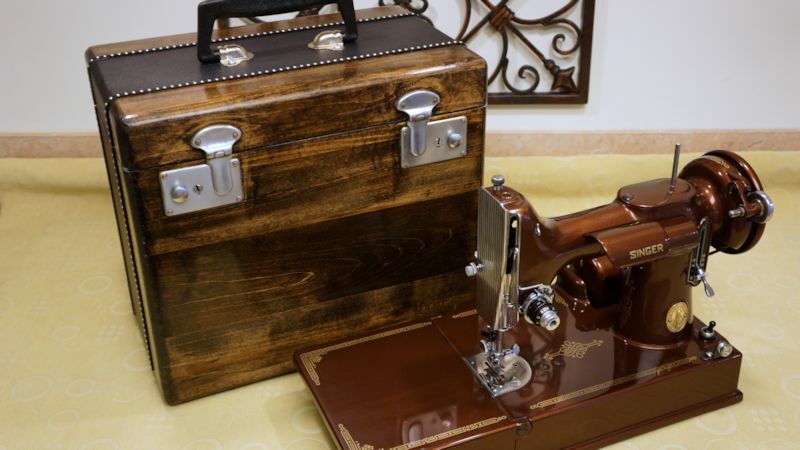 By age 25 he had followed his father into the sewing machine industry and achieved some success, leading eastern Europe sales for the Italian Necchi Corporation. His value to the company went well beyond sales management. 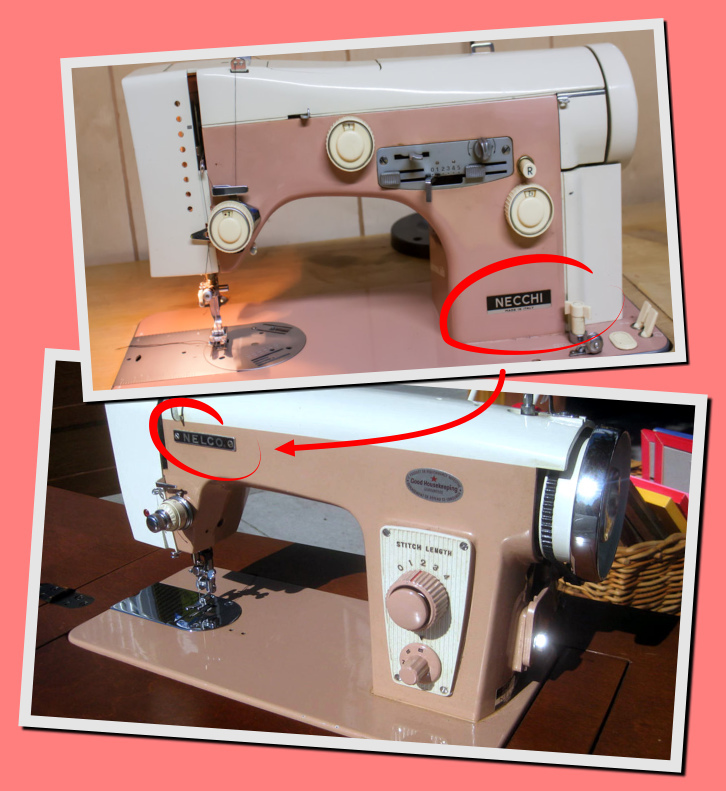 Jolson actually contributed to the design of Necchi's innovative "all-purpose" sewing machine. The Italian machine could perform twenty tasks normally done by hand, such as embroidery and monograms. 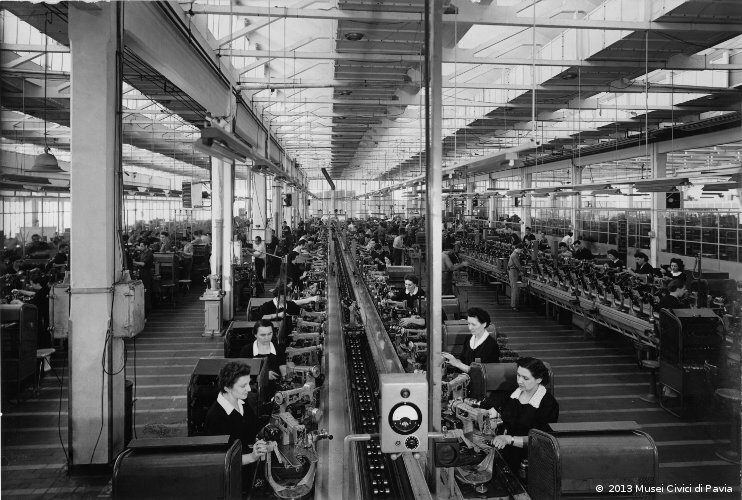 The Necchi factory in Pavia, Italy. When Nazi Germany invaded Poland, Jolson and his family first suffered ever-increasing oppression in the Jewish ghettos until it became clear that the Nazis were forcing Jews into camps. Leon managed to avoid the worst until 1943 when he was sent to a concentration camp. Having mechanical and sewing skills of value to the Nazis, Jolson was afforded just enough freedom of movement that he was able to escape back to Warsaw and be reunited with his wife and mother. They hid in the underground for nearly two years, during which Jolson's mother died before he and his wife were captured again. As they were being transported, the imprisoned couple courageously jumped from a moving train and successfully hid on a farm, aided by an illiterate farmer who allowed them to serve as accountants for a few months. By 1945, with the war ending, the couple found themselves in U.S. held territory in Germany, safe but still fearful with an uncertain future. 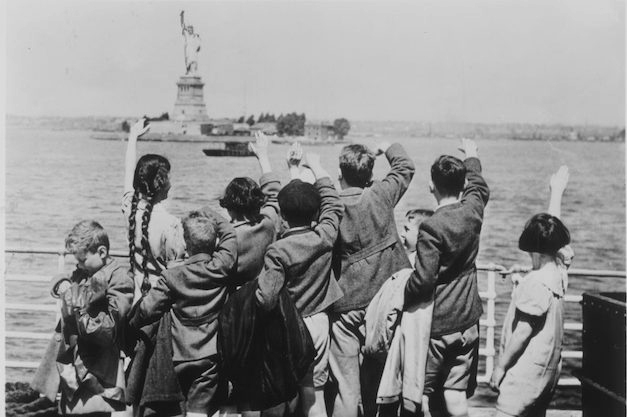 Looking upon Lady Liberty, Jewish immigrant children reach America. Image: US Holocaust Museum. The Jolsons arrived in New York in 1947. Some biographies say he was penniless while more than one source claims he had a mere eight dollars in his pocket. It is certain that he had a numbered tattoo from the concentration camps. 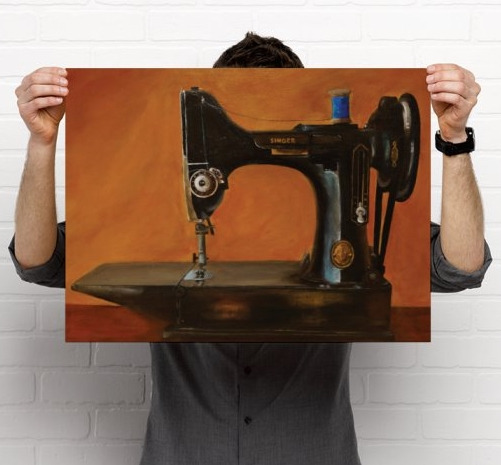 Setting out to leverage his experience as quickly as possible, he combed the streets of the garment district to understand how sewing machines were bought and sold in New York. 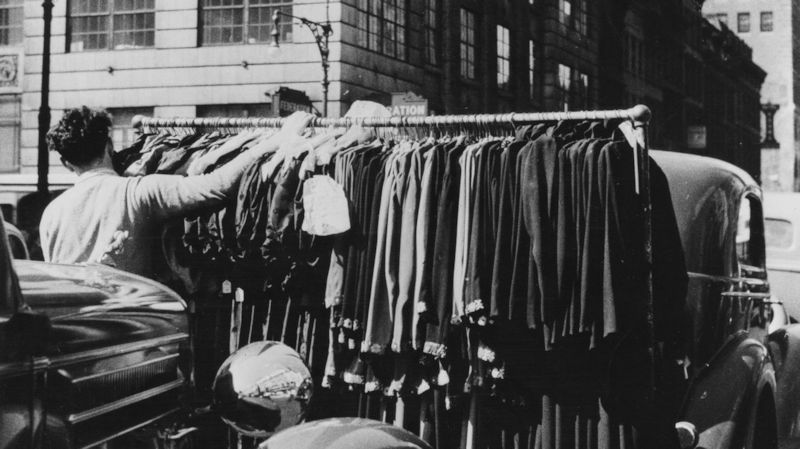 He found that parts were scarce in the post-war marketplace, so the used machine trade was bustling. Buyers needed resourceful "agents" to do footwork purchasing parts and machines while the business owner focused on producing garments. Workers in the garment district. The hustle and bustle of the garment industry existed in the streets as much as the in the buildings. 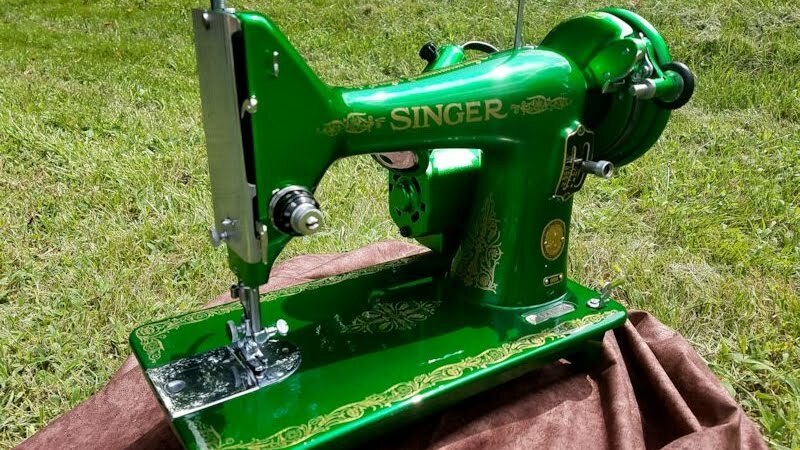 Jolson scoured the area to make contacts to offer his services as a sewing machine repairman and expert. On his first day, Jolson made a few dollars simply carrying a machine from one point to another. By the end of his second day, he made $300 in commissions by connecting buyers and sellers. This was a significant payday as he and his wife had been living on about $10 a week. He obtained a small loan through the United States Service for New Americans and was able to establish a workshop in a Bronx apartment. A few rooms with shabby furniture were a long way from the life he had lived before the war as head of Necchi Corporation's Eastern European sales. Now following years of hardship and the horrors of Nazi oppression, the Jolsons had faced an apartment shortage in New York. Even this grim dwelling in an equally grim neighborhood brought pure joy - an encouraging success - for the couple who had leaped from a train to save their own lives just a few years prior. Jolson quickly observed that American machines lacked the features of the Necchi models he had helped design and sell in Europe. He eagerly wrote to the Italian company describing a promising U.S. market and requesting some inventory to launch a sales effort. Necchi's response was slow, with little appreciation for Jolson's previous role with the company. They expected Jolson to prove the demand with a sizable order. All they would send would be a few demonstration machines, and not quickly. 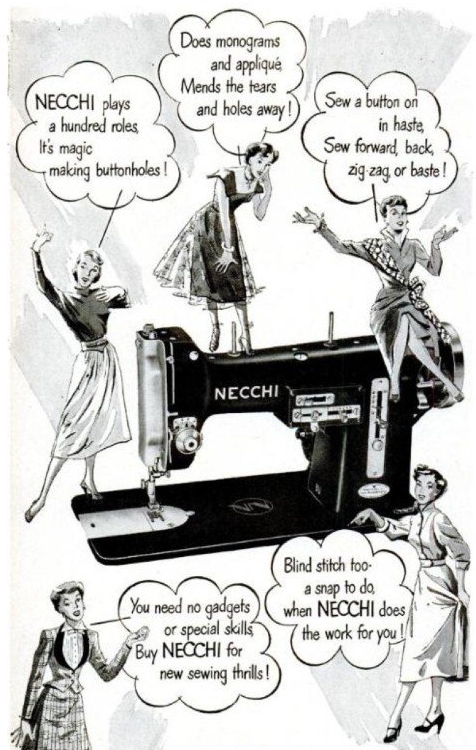 A 1950 ad boasts the benefits of a Necchi machine. Jolson correctly predicted that American women would love these features. Considering his success with the company ten years prior, Necchi's lack of enthusiasm might have discouraged another man. Not Jolson. He accepted the factory's terms and maintained his drive, seeking funds for a sales campaign. He obtained a second loan from the U.S. government of $2,000. With these funds he pursued American distributors doggedly to no avail. At last he attracted the attention of two businessmen willing to invest $50,000. Ben Krisiloff and Milton Heimlich had become convinced of Jolson's vision - the Necchi would surely introduce Americans to a better machine. 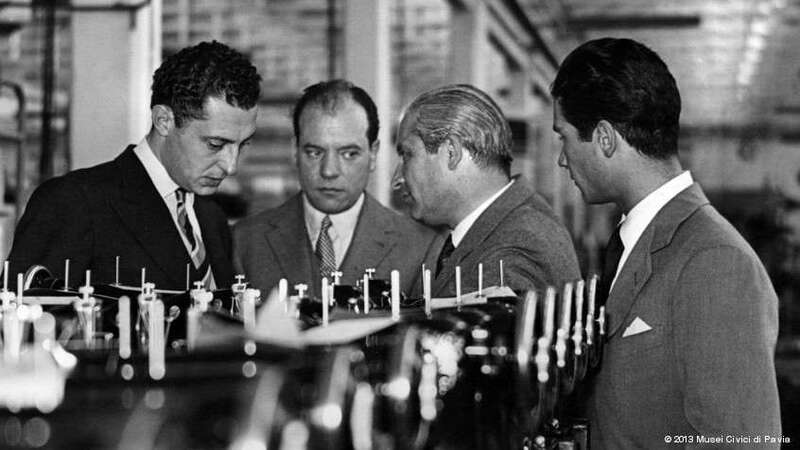 Jolson and Krisiloff met with Necchi's owner and namesake, Vittorio Necchi, at the factory in Pavia, Italy, and convinced him of their vision as well. Necchi ordered 135 machines for the American-based upstart. Third from left, Vittorio Necchi meets with business associates at the factory in Pavia, Italy. Now with meaningful support from Necchi, Jolson and Krisiloff attacked the U.S. market with blazing results. More than 10,000 machines were sold in two weeks. Krisiloff and Heimlich became partners with Jolson and the three men opened a facility. Business expanded rapidly, and next Jolson led the company to become the U.S. dealer for the Swiss brand, Elna - another elegant, forward-thinking design that made American machines appear traditional and all but featureless, lacking the exciting stitches of the European models. American tastes were expanding toward more colorful products and advanced technology as the dark cloud of war receded. 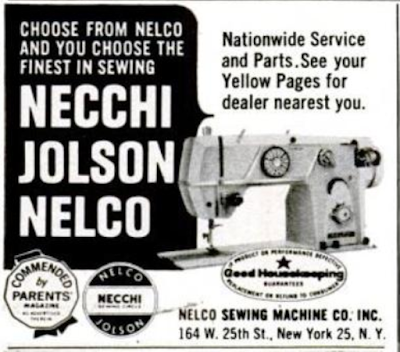 In his Nelco ads, Jolson emphasized his connection to Necchi and Elna in order to bring legitimacy to the Nelco brand. Notice the ad includes all the "keywords!" NECCHI, JOLSON, NELCO! 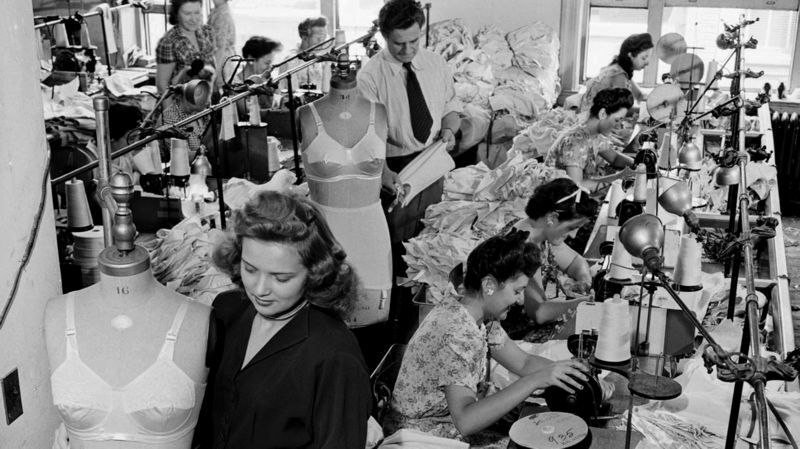 Suddenly, one in four machines purchased in America was imported through Jolson's company. By 1952 his marketing budget alone was $2.5M while annual revenue had reached $25 million a year. Soon, Japan brought tremendous influence to the market as well with colorful machines and advanced stitching ability. Since Japanese machines were significantly cheaper than Elna and Necchi, it was clear to Jolson that his company would benefit from a lower-cost option to compete with the Japanese imports. He cleverly contracted with a Japanese manufacturer to create his own brand. 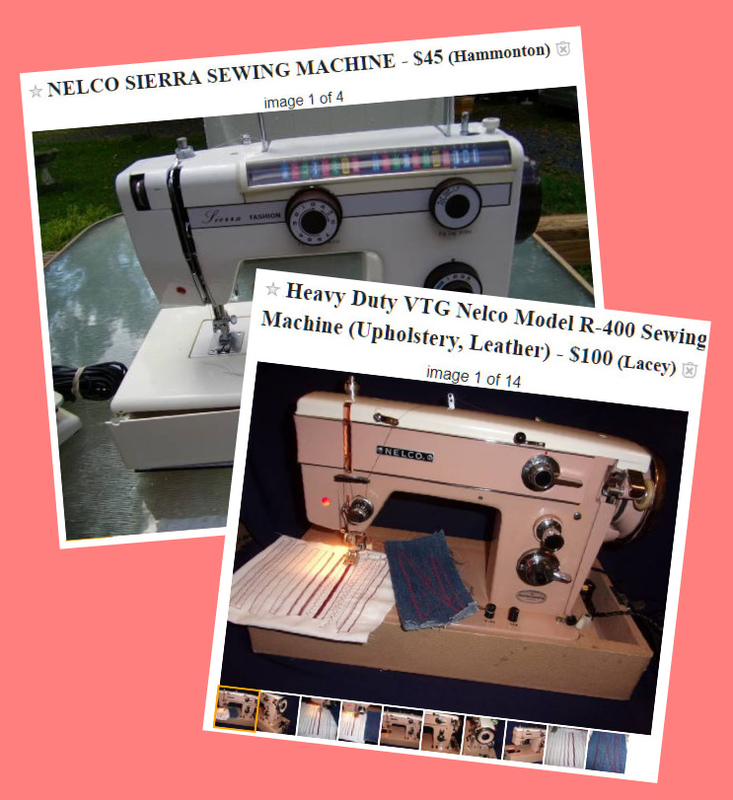 "Nelco" machines became popular and were sold in mainstream department stores like JCPenney and Walmart. Even relying on Japanese engineering, Jolson wished to maintain his European aesthetic. 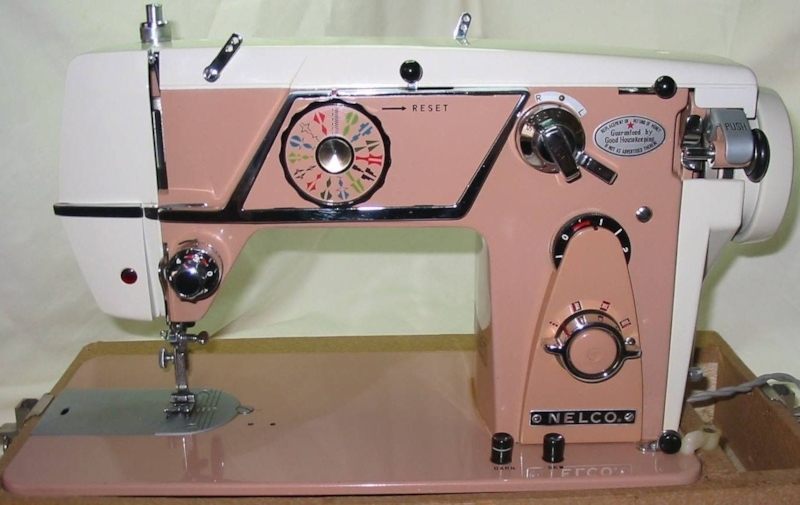 The Nelco machines borrowed styling features from Necchi, not quite as sophisticated but close in some ways, as Jolson understood and applied European design influence. The Nelcos were a brilliant lower-cost alternative to Necchi. Twenty-five percent of the American market was a huge achievement considering the dominance of the Singer Company. Below you see a Necchi Supernova Julia and a Nelco, which clearly takes styling queues from the Julia. 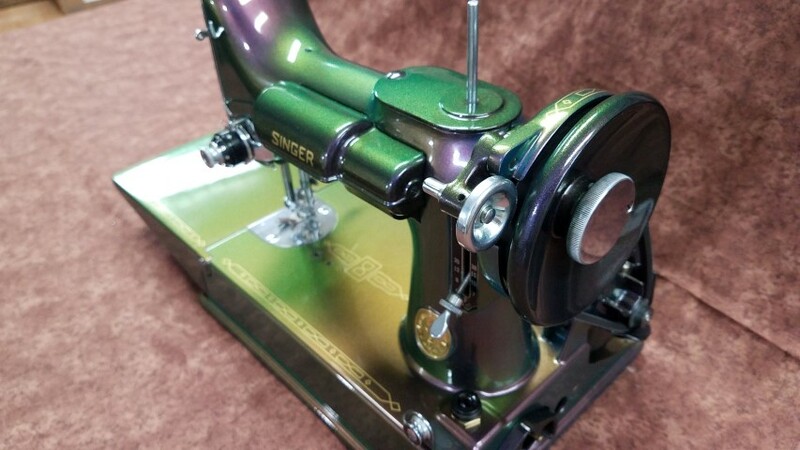 While the Nelco wouldn't have been anywhere near as sophisticated as the Necchi with features and capabilities, it's Japanese engineering would have been rock solid with a great straight stitch and a few basic zig-zag options. Notice the all-caps black and silver NELCO badge - looks sort of like the NECCHI badge, right? 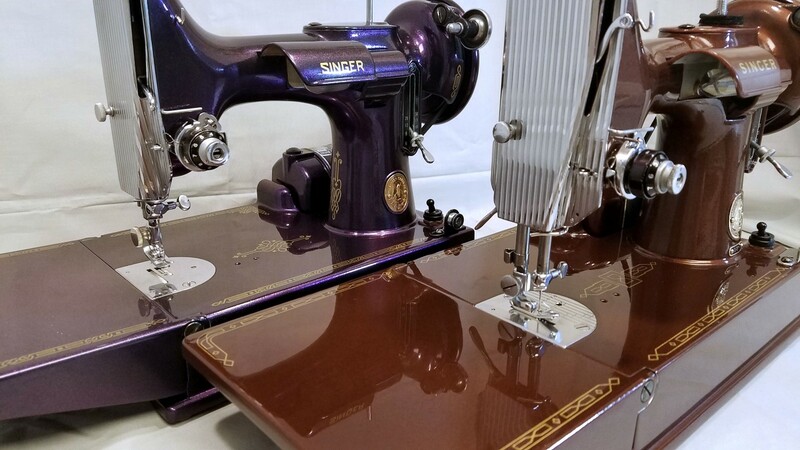 An American buyer who wanted European styling but just a few stitch options could save considerable money choosing a Nelco over a Necchi, and still own a rock-solid machine. 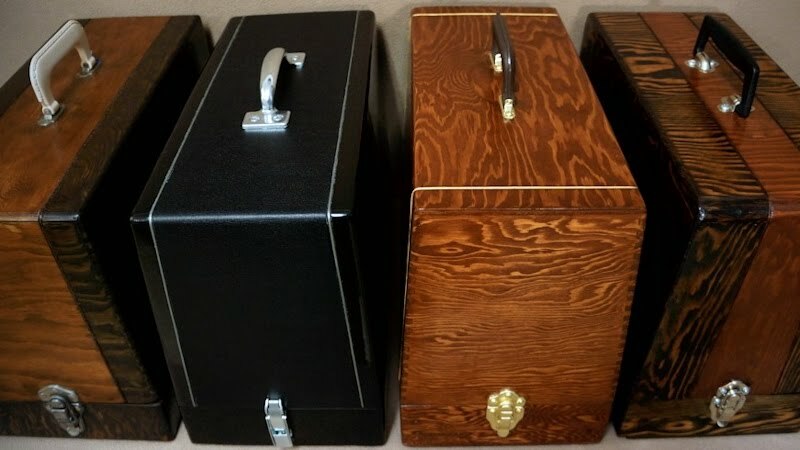 A lot of European models which are high priced are not better in performance, precision and finishing versus the moderately priced machines made in Japan... 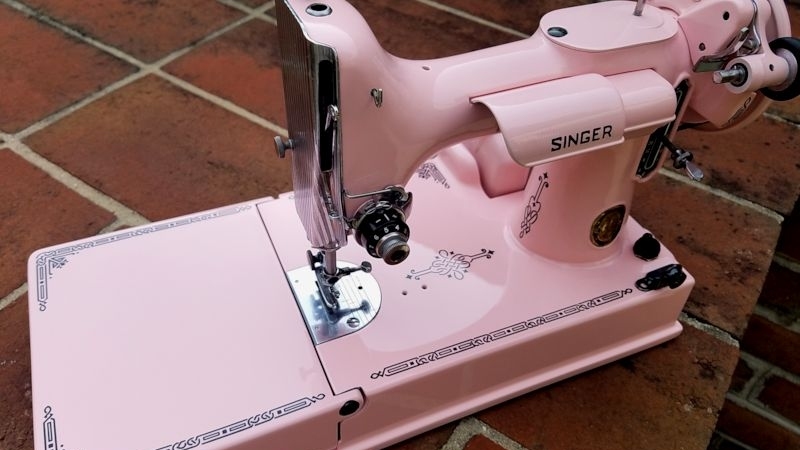 The lower price of a Japanese-made machine does not mean that it is of poor quality, but comes from a completely different industrial concept... You can believe me, as in my lifetime I have work and been affiliated with sewing machine manufacturers in Germany, Switzerland, Italy and Japan. Unfortunately for Jolson and his partners, Necchi and Elna representatives took notice of more than just Jolson's ability to capitalize on the well-built Japanese machines. 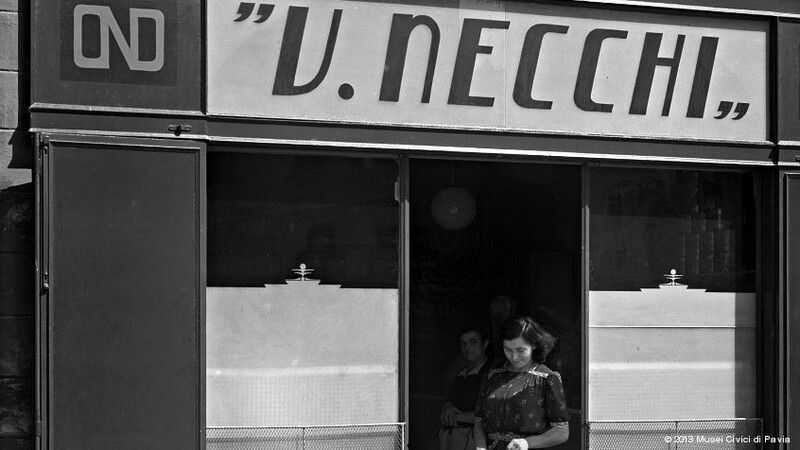 The European companies took issue with how Jolson had arguably appropriated their established brand names, combining Necchi and Elna into the word Nelco, as in NEcchi and ELna COmpany. 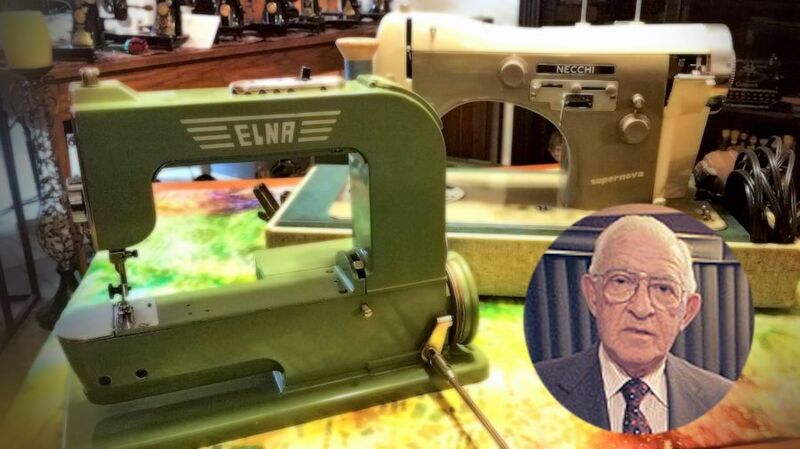 He had also trademarked the term Necchi-Elna Sewing Circle for use by his dealers. By 1963, lawsuits had ended Jolson's licensing and dealerships with the original brands, but through negotiations he was permitted to keep the Nelco name. It remained in dispute for quite some time as to whether it was legal for him to reference his experience with Elna and Necchi brands in his marketing material. Conflicts regarding branding and Jolson's marketing claims persisted well beyond the initial litigation. As late as 1984, the owners of Elna raised a significant suit against Nelco. Subsequent to 1963, Jolson followed a practice of identifying himself as a former distributor of Necchi and Elna machines. He did this by affixing labels to Nelco machines; by including material in printed 'hang tags' which were tied on to Nelco machines; and by referring to the former relationship in printed advertising matter. Jolson was forced to stop using the brand names Elna and Necchi in his corporate literature, and to stop naming models with monikers clearly evoking Elna model names - such Nelco Prima Vera versus Elna Primula when the machines were virtually identical and manufactured in the same Japanese factory. Leon and Anya Jolson photographed by J. Conrad Williams. 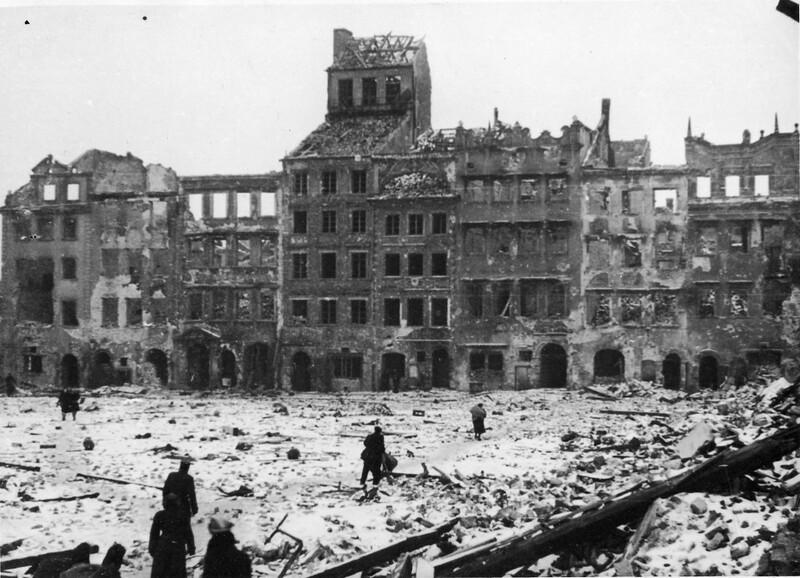 Jolson made an unsuccessful effort to rebuild a war-destroyed Synagogue in Warsaw once he was wealthy. 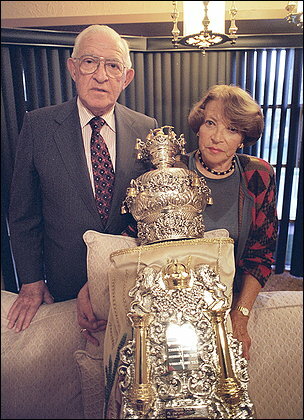 His attempt was rewarded when he was gifted this Tora which had been hidden from Nazi forces during WW II. By the time of his death in 2009 at age 96, Jolson had become renown for his charitable life in America that reached all the way back to when he repaid that $2,000 government loan. He took the opportunity to donate an additional $1,000 so that the United States Service for New Americans could assist another immigrant. Mr. Jolson used his business profits to help other displaced people and keep the history of the Holocaust alive. In 1952 he gave $10,000 to Columbia University Teachers College, stipulating that the money be used to assist refugees without regard to race, religion or nationality. The Leon Jolson Award, administered by the Jewish Book Council, supports nonfiction authors writing about the Holocaust. Understandably, Jolson's focus on the war's impact and aftermath had been an overarching theme and purpose throughout the latter half of his life. He had even attended Adolf Eichmann's trial. Eichmann, a high-ranking orchestrator of the Holocaust, was hanged in 1962, with his final words being, "I hope that all of you will follow me." 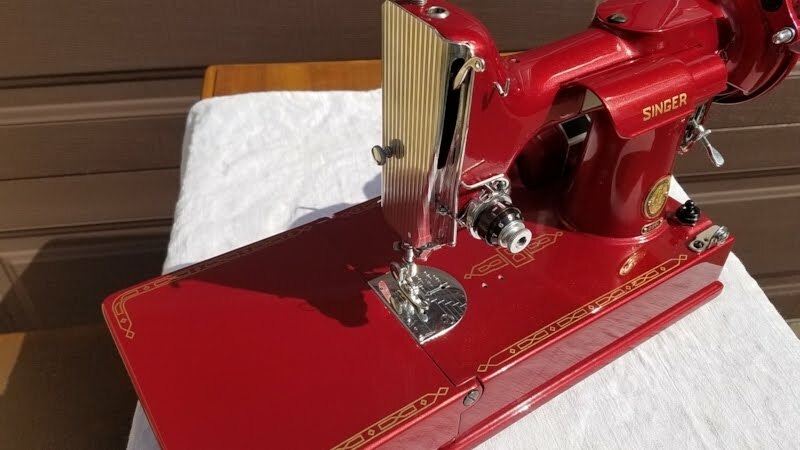 With Jolson's story in mind, to own a vintage Nelco is to possess a reminder of Holocaust survival, perhaps an homage to Jolson himself, and surely a reminder of America's unique greatness as the land of opportunity. 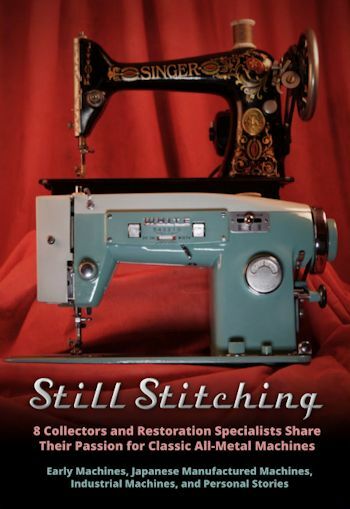 It also provides one of many tales of corporate intrigue and trespass within the sewing industry. 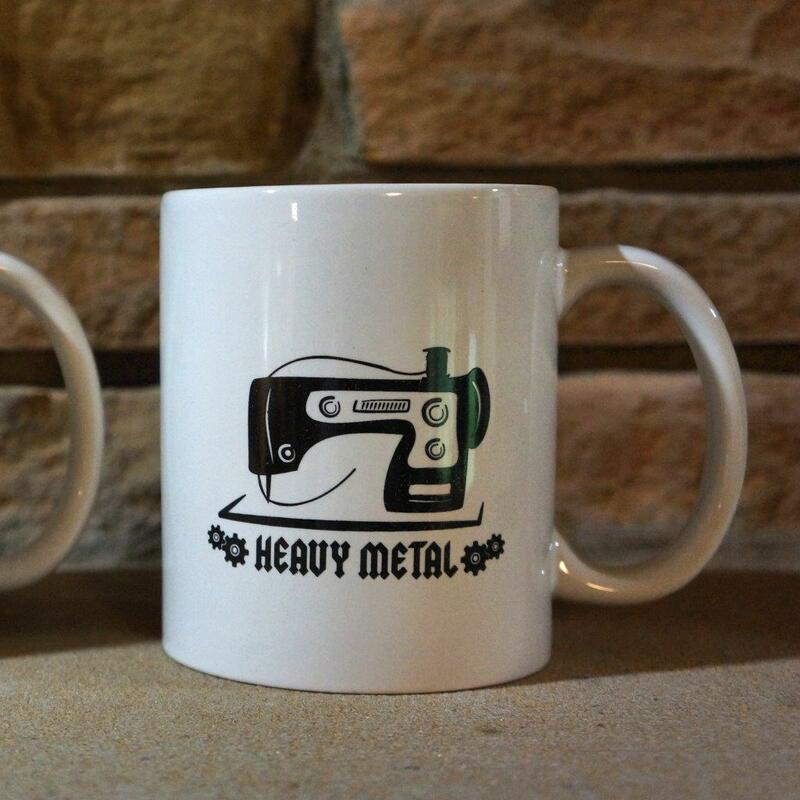 They're also typically just great machines! Grant Gray's favorite domestic machine... "bar none!" he emphasizes. 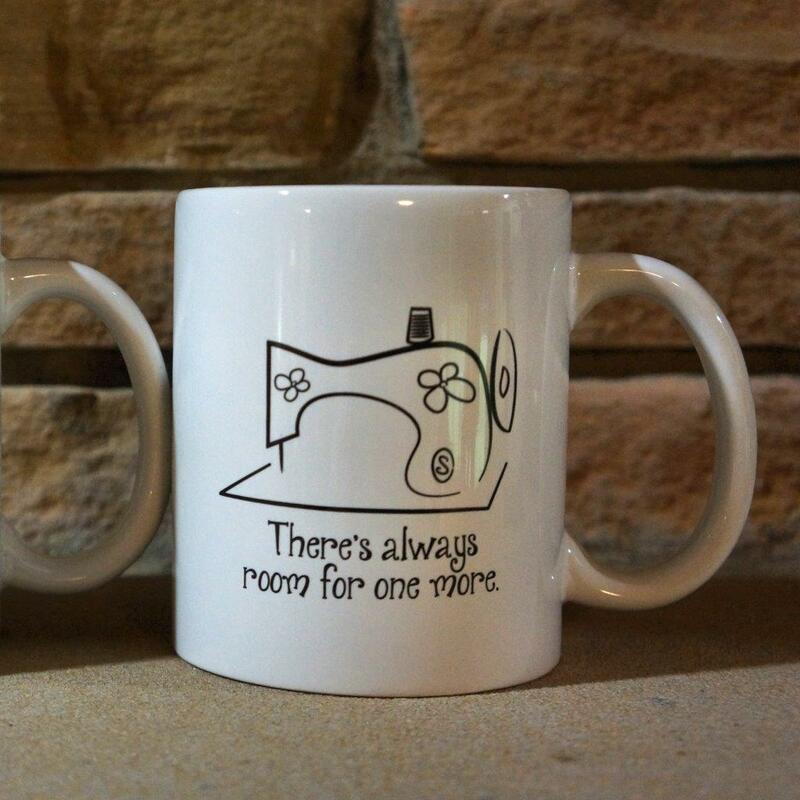 I have owned literally several hundred of machines. The two I won't sell are my first machine (a clone) and my Nelco R-2000. It is the best machine I have found for home use, BAR NONE!!! Yes, I said NONE! The story of Jolson's Nelco brand raises interesting points about intellectual property and trademarks. One might argue that Jolson unscrupulously took advantage of the Elna and Necchi brands' valuable reputation - that was certainly the contention of the European brands, and the final decision in court. But then the philosophical question arises, did Jolson ultimately make up for those flaws by virtue of his philanthropic nature? Or what of the fact that Elna and Necchi enjoyed success in America largely because of Jolson's predictive wisdom? He was the first to import the brands to a significant degree, the first to even see the real genius of it, and Necchi and Elna profited greatly just as Jolson made his fortune in America. 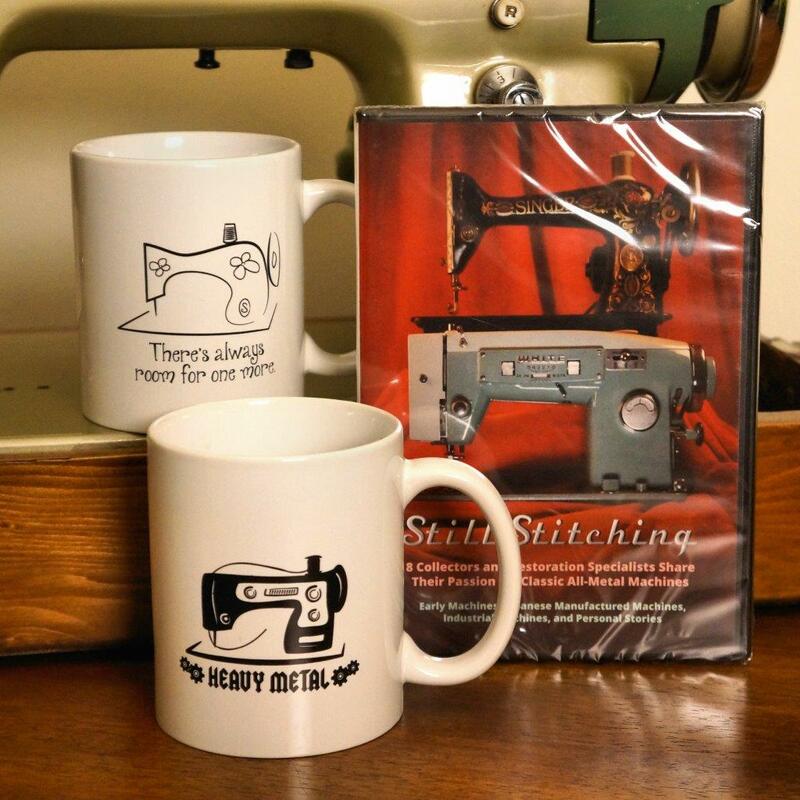 Where did his enterprising nature (he was perhaps the ultimate "comeback kid" in the sewing industry) and his questionable branding practices intersect and diverge? What do we admire, what do we condemn, and what do we forgive when we think of the phases of Jolson's life? 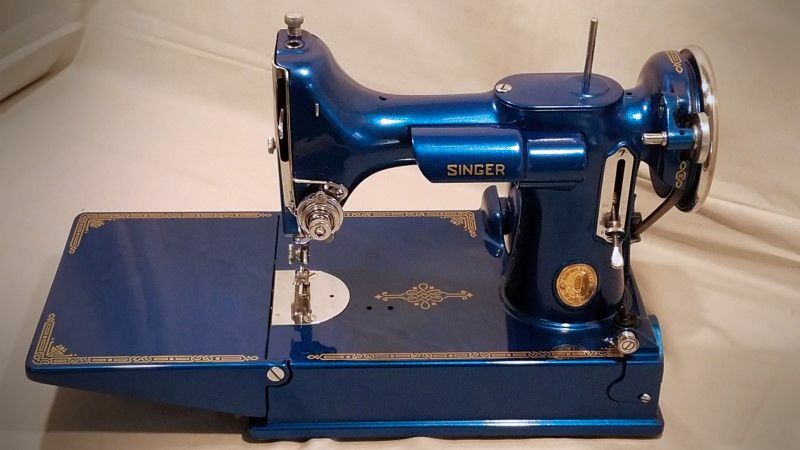 A Nelco from the Still Stitching collection. Upper-right of the arm on this Nelco, you can see that the bobbin winder is tucked behind a panel, leaving an elegant smooth surface unlike most of the exposed winders on Japanese imports - a much more European-styled design. 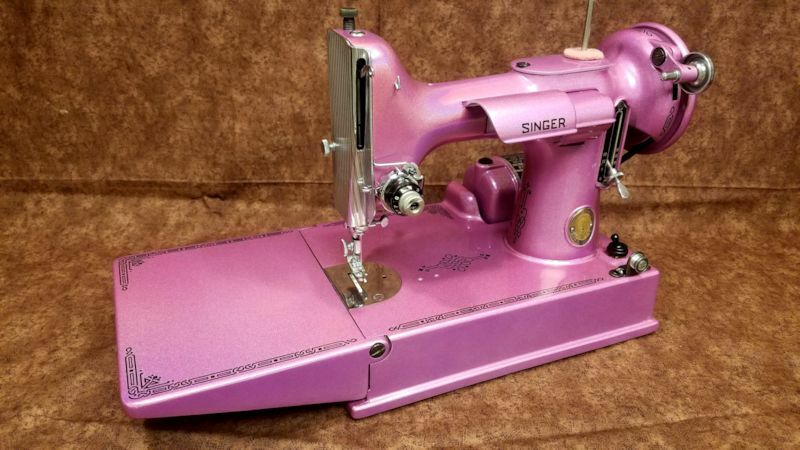 Find yourself a Nelco and you probably won't spend much to preserve a piece of history, and you'll have another heck of a story to tell friends who admire your collection when they ask you, "What it is about these old sewing machines?" Interesting biography of Leon Jolson. Well written. I look forward to reading more like this.